The south end of Myrtle Beach provides a more serene environment with less noise and traffic than other areas along the Grand Strand. 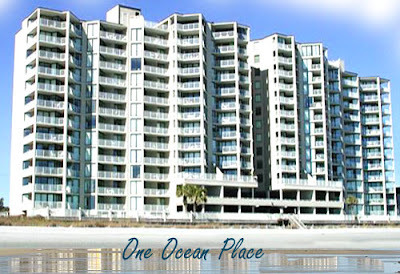 The extraordinary One Ocean Place Resort offers the cozy, Low-country ambiance that Garden City and Murrell’s Inlet are known for. The luxury oceanfront condos feature 2 & 3 bedroom floor plans that are spacious and all have private balconies that offer incredible panoramic ocean views. Covered parking and elevators add an extra measure of security and convenience to life at the resort. 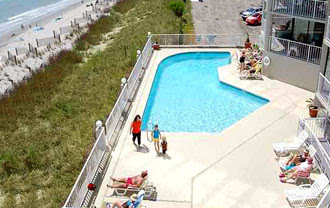 Residents enjoy a fitness center, 2 0ceanfront pools, and 2 Jacuzzis. A private lounge makes it easy to meet with friends and relax with a drink at the end of the day. Condo prices run from $350,000 to around $800,000. Murrells Inlet has its own community business district featuring grocery stores, doctors, drug stores, lawyers, accountants, and services that make daily life simple and carefree. Some of the country’s best restaurants are nearby. 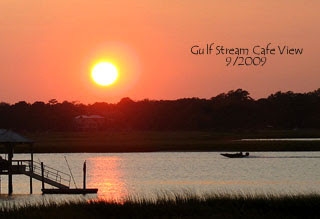 The Gulf Stream Café is one of the local favorites, offering marsh views live music on the weekends, and oyster roasts. When you are feeling more adventurous, Myrtle Beach is just a short drive north. Want to know more? Visit our website for more information. 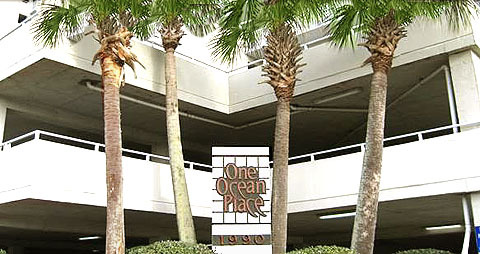 If you are interested in seeing this amazing resort for yourself, call one of our real estate professionals for a private tour of the One Ocean Place condos for sale in Garden City.